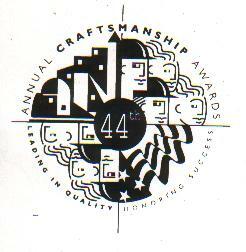 The Craftsmanship Awards, presented each year by the Washington Building Congress, honors the people whose exceptional work makes Washington's buildings memorable. This is the largest event of its kind in the building industry. Companies compete in ten categories. Exceptional projects are nominated for Star Awards, which recognize the best of the best. Projects throughout the metro area are eligible to compete. The Washington metro area includes the District and the counties of Anne Arundel, Montgomery, Prince George's, Howard, Arlington, Fairfax, Fauquier, Loudoun and Prince William. Each nominated project is evaluated by a three or four person team including architects, interior designers, general contractors, subcontractors, construction consultants and engineers. Each team member evaluated the projects independently, reporting the findings to the team leader who in turn, submits the results, with recommendations, to the awards committee."